Growing up, I was not a fan of salads. I was forced to try them again and again, but they just weren't my first choice. Then my mom told me once that I needed to find a dressing that I liked. Then, the salad would follow. Seems backward, but it worked! I realized that I loved Ranch dressing. Ok, so not the healthiest, but it got me eating salads! 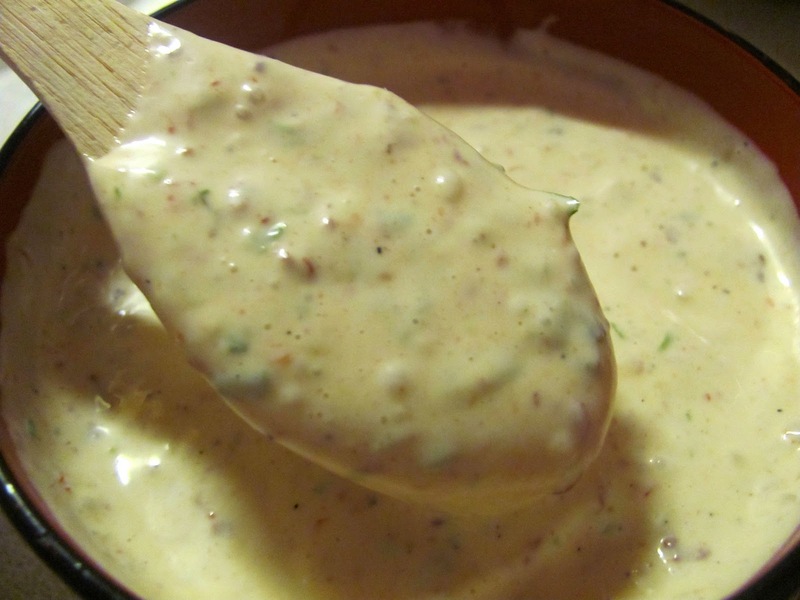 Today, my tastes have expanded to some vinaigrette's, but my first love is creamy dressings. This recipe is perfect creaminess meets spicy. It's great on a salad with some Mexican food, or drizzled over a chicken salad. I had the leftovers on a Baja Beef Wrap-recipe coming soon! Chipotle Chilies in Adobo sauce can be found on the Mexican food aisle in your grocery store. They are wonderful, spicy little critters. Since you only use one (or less) you can portion out the rest into ice trays and freeze for later use! Place ingredients into a blender; process until smooth. Taste, and add more Ranch dressing if it's too spicy! This should keep at least 1 week in a covered container in the fridge.